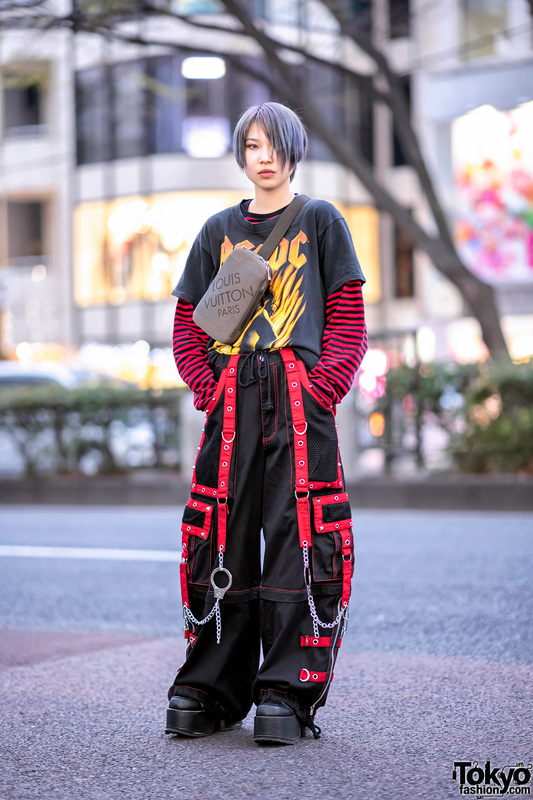 Ezaki Nanaho is an 18-year-old student and model who works at one of Harajuku’s most popular boutiques. 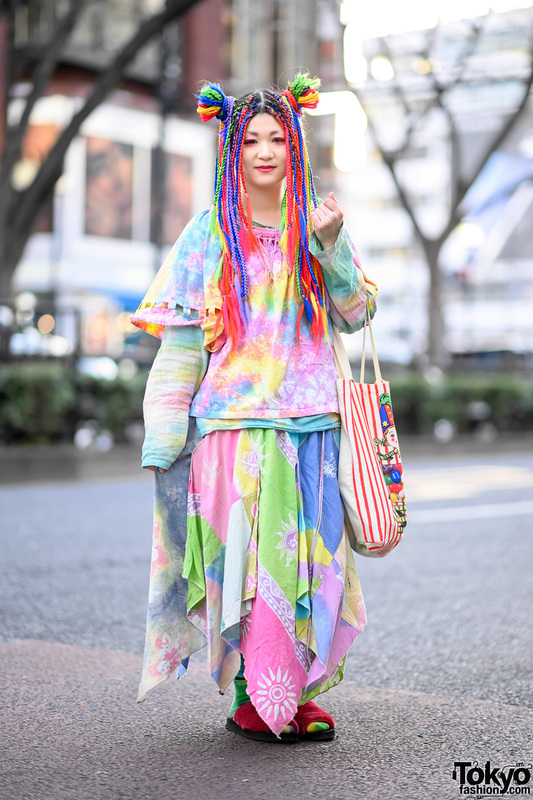 We often see Nanaho around Harajuku, and she’s always stylish and sweet! In addition to her pretty lavender hair, Nanaho is wearing a red cardigan sweater from Nadia Harajuku over a 1950s style polka dot swing dress (also from Nadia), white tights, and cute black Meirire flats. Her red headband is from the Harajuku shop Sevens, and she also has cherry nail art. Nanaho told us that her favorite shop is Nadia Harajuku and that you can follow her on Twitter for more pictures and updates! She’s absolutely and completely perfect. From head to toes. 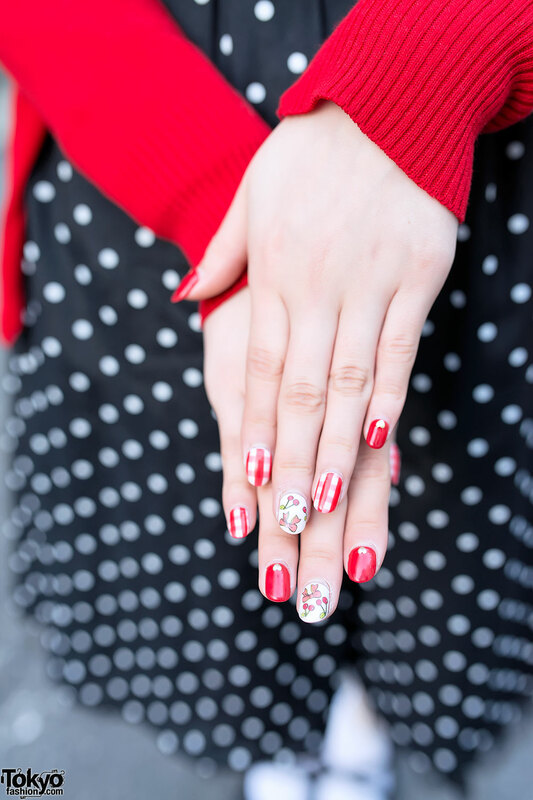 Her nail art is especially cute and well-matching ! No doubt she’s a model. She’s flawless. Look at her face. She’s perfect. She has the best style of anyone on this site too. very cute smile and great look. I have never seen the 50s style look that good! Very beautiful. My gosh, this young lady is a fashion icon in herself, she’s perfect all the way down to her gorgeous nails. I know nails can be a work of art in themselves but looking at the whole package I would definately say “Watch this space…”this young lady should be offered a modelling contract immedietely! !